As always, it's our ongoing privilege to serve all of your pet collecting and battling needs. We look forward to bringing you more exciting news and site updates throughout the New Year. Warmest wishes for a pet-filled 2014! If you haven't done so already, there's still time to enter Doobjanka's Murkablo Holiday Giveaway! Entries must be posted in the official contest thread no later than 11:59 PM EDT, Tuesday December 24, 2013. 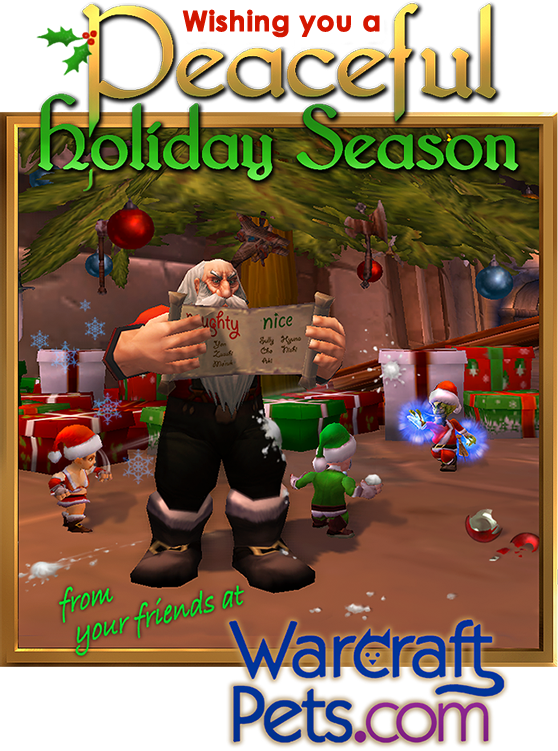 The winners will be chosen at random on Winter Veil morning (December 25th) and contacted via email to claim their Murkablo prize.